TRIPLE ONDA has designed and patented the best PA system for the audience, the technical staff and the business. The FULL XLA system is the result of more than 35 years of research in the manufacturing of PA systems and multiple benchmarking processes regarding the application of current regulations on noise pollution. We are proud to claim that we have developed an optimal audio system for technical teams, audiences and buying companies alike. All of the digital ampliﬁcation and the digital processors are housed within the speakers boxes. All of the system elements are controlled by computer (speaker by speaker). The digital processors not only control the traditional parameters, but also they have been implemented on the Neoduction’s Virtual Box Processor, a new system that extends the dynamic range, transitory response, intelligibility and lowest/highest frequencies diffusion beyond the actual limits. Triple Onda has developed a revolutionary audio system with the best results on pressure, quality, output, longitude and a uniform dispersion of sound. Another big difference between FULL XLA and the other line array systems available is that, from the beginning, it has been designed by professionals with a high degree of experience in live sound reproduction for indoor and open-air shows and festivals. Triple Onda has established a new concept of designing and producing sound systems as well as upgrading pre-existing systems to market level. We have broken the conventional rules with our concepts. There are no other acoustic systems which have incorporated as many features as we have in the same cabinet. For many of the previous mentioned reasons, alongside the craftsmanship behind the FULL XLA, we can say with confidence that we are market leaders in what we do. Our advanced systems mark an evolutionary step in the concept of line array speakers. With this new audio system, we achieve a complete integration for the first time in a line array audio system. The FULL RANGE LINE ARRAY XLA produces sound from a unique source of radiation, so it is not necessary to connect external subwoofers. It woks with digital speaker processors under wireless remote control from a computer. The FULL XLA is a future system made a reality, a new line array generation. It has a unique format module. 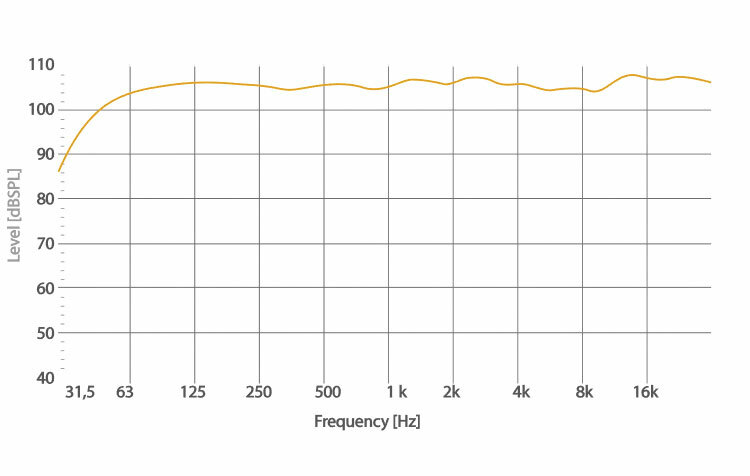 The FULL XLA doesn’t need complementary subwoofers added to the line array distribution, they are incorporated within so that the sound is generated to form a unique source of radiation between 35 and 18.000Hz. This is the first time the subwoofers are diffused with the rest of the frequencies at the same time, from the same source, achieving an even diffusion for all the frequencies everywhere. Cabinets are very compact and light but extremely strong. They have been designed for easy handling, transport, stacking and rigging etc. Triple Onda has reduced the weight and the space of line array systems. We have reduced the volume down to 50% while still getting the same output compared to the other sound systems on the market. The FULL XLA is a medium format piece of equipment, which can only be compared to large format equipment in quality and power. All of its elements are made of latest generation neodymium.